Day eleven, book eleven. Kenko's book shows that a brand's most important task is to be remembered. We saw Mont Blanc yesterday. One minute it was there, a perfectly iced alpine cake; and the next it was gone behind the cloud. One of the most fleetingly beautiful things I have ever seen, and thirty seconds that were well worth the two hour climb. Seven hundred years ago, a Japanese monk named Yoshida Kenko sat all day before his ink stone, reflecting on the idle moments and fleeting pleasures that had defined his life, and wrote: "If our life did not fade and vanish [...] but lingered on forever, how little the world would move us. It is the ephemeral nature of things that makes them wonderful." 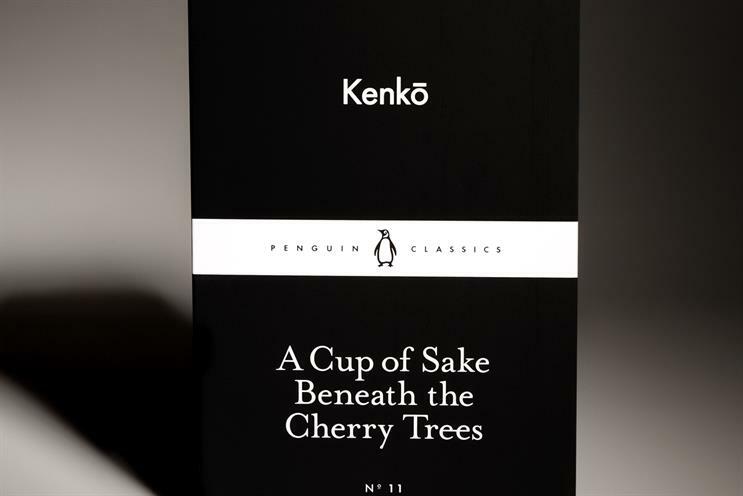 ‘A Cup of Sake Beneath the Cherry Trees’ is a collection of disarmingly anecdotal but profoundly wise Buddhist musings on life and how to live it, taken from the larger work ‘Essays in Idleness’. It is the sort of book that should be stitched inside the breast pocket of our entire species. Laced through it, like a silver thread that leads to Buddha, is the ephemeral nature of pretty much everything. Delight in such brief pleasures as the "full moon’s perfect roundness", is not just a medieval monk’s chosen coping strategy, it is the way that life for most of us is experienced. Pinnacles and troughs, and the far less memorable time between. Brands seek to associate more with the highs, and less with the lows, but the first question (if there could ever exist so grotesque and profane a conflation of ideas as The Buddhist Way of Brand Building) is how to intersect at all with those defining idle moments. Kenko doesn’t reflect on the day he went to Lidl to buy some own-brand sake, because he didn’t live in the age of supermarkets or construct his economic identity through the blending of value propositions, but it would benefit every brand to imagine its (forgive me) Gen Y consumer looking back on life from the wise vantage point of, say, the year 2090, and to wonder how and why its name might ever feature in the Essays in Idleness of the future. Brands don’t matter – we fantasize their importance. So the first task is to be remembered at all. If a brand can construct the sort of deliberate incidentality that allows it to penetrate the amnesia of everyday existence, then it might earn a mention. Only then need it worry about whether it will be consigned to bad ephemera or good.